An imposing 18th-c Georgian mansion set in 400 acres of rolling parkland, overlooking the Thames valley. 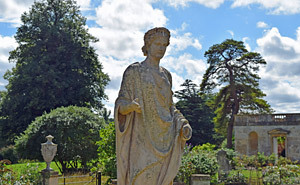 The estate was lovingly restored after the second world war by Lord and Lady Iliffe and is now managed by the National Trust. Modest formal gardens and ornamental terraces with old roses and herbaceous plants. Waymarked trails. Wildlife reserve with beautiful gardens, lakes and riverside walks, in a very attractive setting alongside the River Thames. 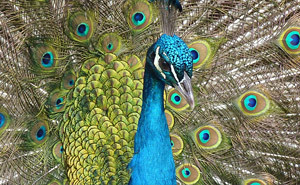 Home to over 100 species of birds, including flamingos, peacocks, parrots, owls and pheasants. Plus a rare breeds farm with Meerkats and other mammals. Narrow gauge railway, play area and pets corner. Ideal family day out. Part of Windsor Great Park. Extensive valley gardens adjoining the lake of Virginia water, with roses, herbaceous borders, trees and shrubs. Providing good all year round colour. 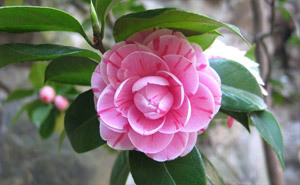 A real delight in spring with blazing rhododendrons, camellias and magnolias.